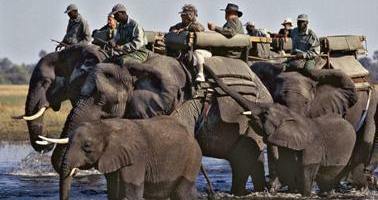 Duba Plains is one of the Okavango Delta's most remote camps, located in the furthermost reaches of the Okavango Delta. The camp is situated on an island shaded by large ebony, fig and garcinia trees and surrounded by expansive plains which are occasionally flooded. Duba is small and intimate, accommodating only 10 people, in six large tented rooms, therefore guests receive a highly personalized experience. Each room has en-suite bathroom, with shower and flush toilet facilities. Each tent has a verandah overlooking the floodplain. The dining room and pub are raised on decking under large riverine trees. The camp boasts a small pool as well. 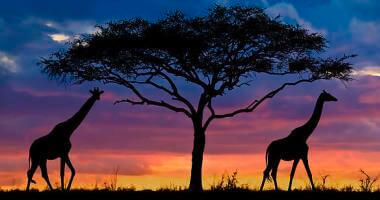 Guests may choose between game drives in open 4x4 vehicles, mekoro excursions and walking safaris. The wildlife at Duba Plains has traditionally been fascinating. As the vast open grasslands and floodplains are often isolated from the mainland by deep waterways, the variety of animals is not as high as in other areas within the Okavango. However, Duba Plains has more than made up for this as it has been a high impact game viewing area. 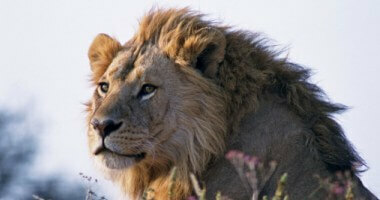 Thousands of buffalo are hunted almost daily by two different prides of lions. Often the hunting has been during the day - so our guests have had great photo opportunities. Lechwe, buffalo, elephant, tsessebe and warthog dot the savannah and hippo concentrate in the deeper channels. We often have productive hyaena dens in the area that offer great hyaena cub viewing. Leopard are found on the forested islands. Most of the Okavango Delta's birdlife is found in the area and birding "specials" like wattled crane and slaty egret are often seen. Wildlife depends on water levels... The large herds of buffalo and Sable are the Lion's main prey. Lechwe dot the savannah and Elephant feed on the islands. Hippo concentrate in the deeper channels when the water levels are up, and Leopard are found around the islands. Most of the Delta's birds are found in the area as well. 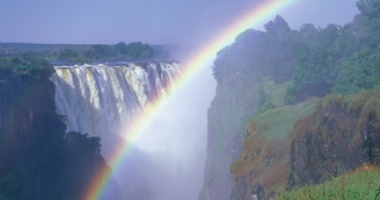 Zimbabwe's famous "Campfire" principles have been put into place at Duba Plains. The villagers who live outside the Delta have formed the Okavango Community Trust. They have been given this area to administer by the government as a photographic Tourism preserve. The Trust accrues significant financial benefits, employment and training from Duba Plains, which filters down to the villagers who live north of the Okavango. Accommodation Rates:- From $860 per person per night sharing. Please contact us for a quote and suggested itinerary.